Review for 2017submitted by Samantha S. - Jan 31, 2017 |Recommended: YesMoving here was swift and easy. Angelina and Courtney are a God send to Lincoln properties and apartment leasing. They're sweet and understandable and accommodating. Maintenance is super sweet, and they do everything they can to ensure the landscaping and breezeways are clean. They do take awhile to get around to fixing things sometimes. My bathroom floor had cracks when I moved in, noted on the move in sheet and noone came to fix it. Parking is a bit hectic on the weekends. Towing should be enforced more often. There is a broken down red car that has been parking in a covered parking spot and hasn't moved in four months. Wherever you go you will have loud neighbors. I can't hear them talking or walking but when they slam doors or bump bass music, you can hear it. The only thing that is stopping me from resigning is the gym, which was a big reason in me signing here. If they could take 3 months of my rent alone and enhance the gym by providing medicine balls yoga balls kettle bells, and new tread mills and a stair stepper, they would have my lease signed for next year. The club house looks beautiful, but the gym looks sad and doesn't measure up to the rest. Please consider that. It is nice.submitted by Rasheem C. - Jan 02, 2017 |Recommended: YesIt is a very nice community to live in and there is a lot to do in the neighborhood. Affordable, close to restaurants and the highwaysubmitted by Jennifer D. - Mar 27, 2016 |Recommended: YesWe love it. Better than most.submitted by David C. - Feb 01, 2016 |Recommended: YesMy biggest issue is with some of the neighbors making noise - loud bass music or honking their horns at 11pm or 6am - and the management office's apparent lack of ability to do anything to combat it. The only inherent downside, though, has been the layout in the 3 BR. While the total sq. ft. is nice, the way doors, walkways, and an annoying counter lay out the LR, there's not much you can do with it. I was told when I moved in that transfers to larger smaller units within my complex or the Lincoln-managed one next door were automatically approved after 7 months of good rental history. Every time I inquire about that now, though, I seem to get a different response - the most recent being that I have to wait until the end of my current lease, even though I've been renting the same unit continuously for 35 months straight now. This is a good location.submitted by Juan B. - Aug 31, 2015 |Recommended: YesIt is a safe, quiet, central location, very near downtown. 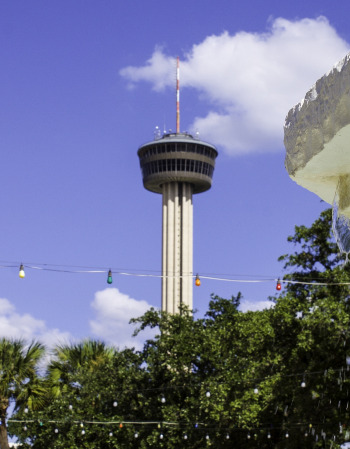 A Good Place To Livesubmitted by Santiago H. - Jul 01, 2014 |Recommended: YesI love that this complex is downtown and is walking distance to the riverwalk, tons of restaurants, Southtown events, hemisfair park and two major highways (281 & i35). The grounds are kept in great shape and the maintenance crew is always on time. The office staff is really friendly too. What I don't like is that the parking rules in the gated area do not appear to be enforced, pet owners don't pick up after their pets in the courtyard. When it rains the smell is horrible because of all the pet poop and some of the people that have been moving in lately are the type of people you don't want to live around (rude, ignorant, inconsiderate, loud people). The gate to keeps the gated parking gated off is continuously broken. The pros of living here definitely outweigh the cons. BEST APTARMENT LIVING EVER!submitted by Rosie C. - May 21, 2014 |Recommended: YesTHE LOCATION IS AWESOME, QUITE AND PEACEFUL-BEAUTIFUL LANDSCAPING-PLENTY OF SHADED TREES-CLOSE TO DOWNTOWN-PERSONAL VERY PROFESSIONAL WHEN IT COMES TO FAST SERVICES-NOT THAT I HAD ANYTHING DONE-GREAT PARKING SECURED AND SAFE. MY CHILDREN ENJOY ALL THE SURROUNDING AREAS TO PLAY AND RIDE BIKES. Great Place!submitted by N. F. - Apr 01, 2014 |Recommended: YesI love living here. The management staff is attentive, friendly and professional. I haven't had a problem since I moved in. The area is perfect. The community is quiet. GREAT PLACE!submitted by Ryan D. - Feb 08, 2014 |Recommended: YesLol I read my review on the ratings page and wanted to update to emphasize how much I love this apartment complex. It really is very comfortable and the staff are great. Love living here.submitted by Debbie . - Feb 04, 2014 |Recommended: YesI love this property. I lived in other apartment complexes and this is by far the best experience I've had. It's very quiet despite the location. I've always felt safe. The property is very clean and well maintained. I've been very happy here. Great. A few shifty neighbors, but the place generally lives up to high expectations.submitted by Ryan D. - Feb 02, 2014 |Recommended: YesNice place, great staff. Meet your neighbors. Lock your doors and windows. Take precautions, but no need to stress too much - I've felt mostly safe here. Great place to live.submitted by Leticia A. - Jan 19, 2014 |Recommended: YesThe apartment is spacious, modern, and has plenty of closet space. The apartment complex is close to downtown entertainment, Alamo dome, restaurants, and highway entrances. Great place to liv.submitted by Leticia A. - Jul 27, 2013 |Recommended: YesIt's quiet, clean, friendly, safe, and the location is great.